The purpose of blended learning is to use digital technologies to enable every learner to achieve their learning potential. The important priorities are to provide learning that is flexible, personalised to the needs of the individual, and inclusive of all learners needs and learning that is engaging. This section provides guidance in the process of Planning and Designing a blended learning approach to an existing course currently being taught. It is necessary to be conscious that the learner learns in many different settings. Using mobile technology, they can actually access course material from anywhere using LMS. Therefore, they can access the material when they want. The whole idea of blended learning is to give the students flexibility and the option to learn anytime, anywhere that suits them best. LMS allows colleges to use lots of rich media like animation, video, podcasting, as well as the written word to provide the support students are looking for as they work their way through their selected courses. The blended learning approach needs to be engaging so that the learner feels ownership of their learning and it’s not just passivity. As with any curriculum, the learning and teaching activities need to be meaningful and integrate into the whole course experience for the learner. Planning is key at the initial stage of the transition from a face to face course onto a blended approach. There are three areas to look at during the planning stage. Firstly, it is necessary to review the existing course. This involves reviewing the course aims and learning objectives, teaching activities, and assessments. Secondly, look at the overall college influence and culture, as well as, the professional accrediting bodies involved. Thirdly, the cohort of learners likely to enrol and participate on the course. It is important to undertake a content inventory of the existing course. Identify essential face to face learning material. Identifying some aspects or learning outcomes of the course which can be adapted with various digital tools. Are there any aspects that you would like to improve either from your own or your learners’ perspective? (e.g., assignment submission and handling, course communication, assessment guidelines, certain activities or content). Perhaps online learning can solve current issues. It is important to consider the college resources and the teaching team involved. Both are involved in contributing in the design and development of the course and its resources. The following questions are be considered at the start of the planning stage. These may lead to additional questions based on your answers and your college. Are there computer labs and efficient WIFI available for learners. What time commitments are involved in development and/or teaching? What teaching experience and level of technical knowledge/ skill do they have? Will blended learning ‘fit’ within this culture? Is there the infrastructure or resources to support the technologies? Are there industry or professional awarding bodies specifications which have impact on the course? Identify where your course fits within the broader program of study and check other courses to achieve balance and cohesion with assessment due dates and use of technologies etc. have a high level of work/family commitments. There are a range of factors that will influence the amount of online learning. The number of learners in a class. To support ESL (English as a second language) to consider recording lectures. (Learners find it useful listening at their own pace and/or several times for clearer understanding). Learner accessibility to technology (PC, Ipad, Mobile) and a broadband internet connection. Consider how easily aspects of your course can be adapted to suit learners with additional needs. NOTE: Remember to provide time and resources for learners to gain familiarity and the required skills to use the particular technology before they have to formally engage with it. Once you have reviewed the planning considerations of the course you can move to designing the blended learning components. There are a variety of digital tools used to integrate blended learning in the key areas of communication, collaboration and assessment. The face-to-face teaching should be clearly integrated with the content and the learning objectives of the online section of the course. The activities should be purposeful, and where appropriate have real-world activities so that learners can demonstrate their competency in a more ‘true-to-life’ setting. The workload for a blended learning course should not exceed that of a course in traditional mode. Keep in proportion the time, effort and resources involved in developing blended learning in relation to achieving the learning outcomes of the course. The following questions might help you work through the design process and identify, in advance, any potential issues that need to be addressed. What sections of the programme are more suitable to deliver face-to-face learning? What sections of the programme are more suitable to deliver online learning? What do I want the learners to complete face-to-face/online? How will it help learners’ learning? What benefit will it be for the learner to engage in the blended learning elements? How accessible is the technology for learners? What costs, if any, are involved? What time is needed for planning, design, and development? 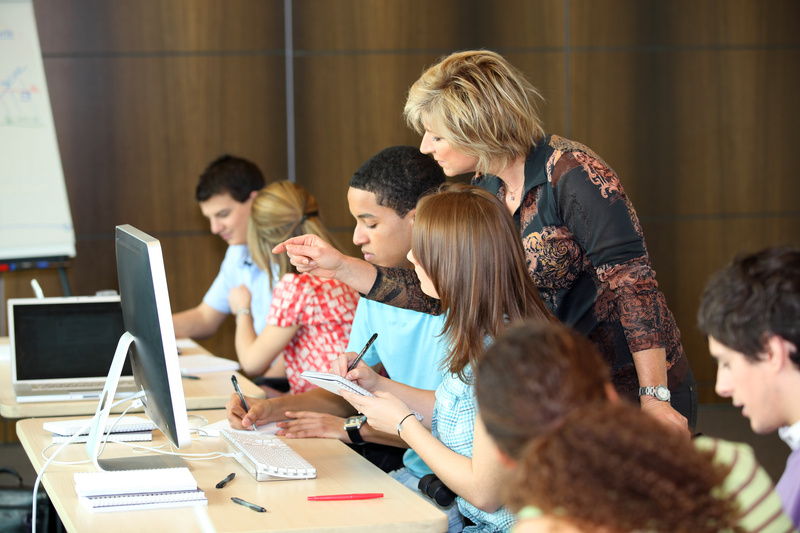 What technological support has the college in place to support the tutor and the learners? Will other staff be involved, and in what ways? Will they need training and support? What initial preparation is required by tutors? The workload is too great – if blended learning and face-to-face elements are not integrated but simply run independently from each other the overall workload is often far greater than when using only one mode of delivery. Keep learner workload at an appropriate level. They are provided with inadequate or no support and/or are confused about what is required of them. It is important to ensure learners are appropriately “oriented” at induction to the course design. They experience problems with technology – high tech is often high risk, so make sure you have tested the technology from a learner’s perspective and provided adequate information and support. It is important to think carefully about the integration of the digital tools into the course. There are a wide range of digital technologies/tools available to support blended learning in formal and informal learning. Below are some specific examples of blended learning approaches to support learners’ achievement of particular learning objectives. Recall key terms and definitions. Weekly or end of learning outcome provide an online quiz (either for revision or summative assessment purposes). Explore the use of matching or ordering question types as well as multiple choice questions. Skills Demonstration showing a key learning outcome Provide a video (these could be online as YouTube videos or EDpuzzle). During viewing ask questions and request opinions. Or/also After viewing get students to post their responses to trigger questions through a discussion forum. Group presentation on a relevant topic to the class using PowerPoint. Consider a group work activity to facilitate learner learning. For example set up a padlet for each group to allow students to work online collaboratively discussing and sharing their ideas. Whatever blended learning elements you choose it is important that they are integrated into the whole course experience. As part of the design and development phase, consider creating a course map or plan that shows the elements of the course in relationship to one another and how they will be delivered across the course. The above is a simple representation of how each element works together to support learner achievement of particular learning outcomes – the teaching and learning activities (lectures, tutorials, online quizzes, discussion) are specifically designed to support learners’ achievement of the learning outcomes. 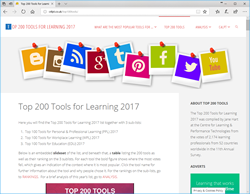 Section four of this toolkit provides a link to a tutorial of the main tools that were used during the pilot project by the partners.